"OUTDOOR HOME PROJECTION MOVIE SCREEN KITS"
"BASEBALL / SOFTBALL BATTING CAGE FRAMES"
OUR PRICES ARE VERY COMPETITIVE AND OUR SHIPPING IS QUICK AND HONEST. EXCLUDING GUAM,PUERTO RICO,HAWAII,ALASKA AND OTHER US PROTECTORATES & APO. 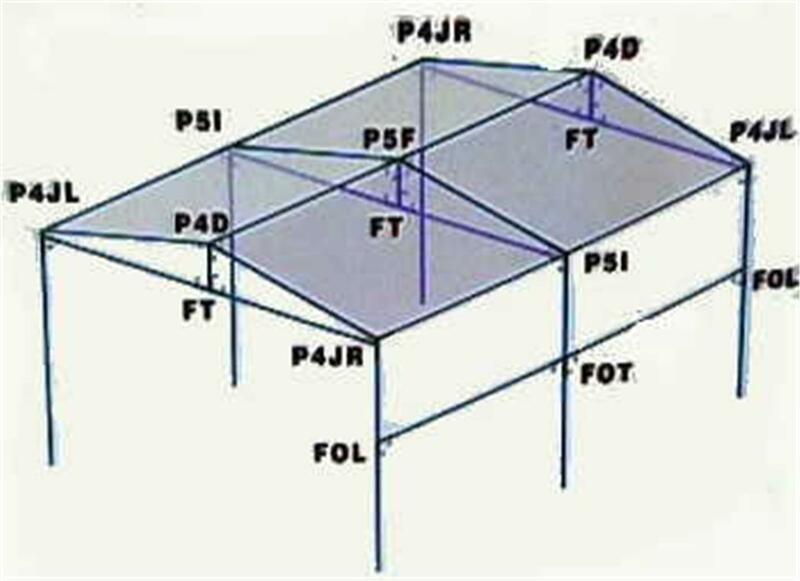 WE HAVE MADE IT EASY FOR YOU TO SELECT THE FITTINGS YOU NEED FOR YOUR CANOPY SET UP. JUST CLICK ON THE DIAGRAM YOU ARE INTERESTED IN AT THE BOTTOM OF THIS HOME PAGE TO SEE WHAT FITTINGS ARE NEEDED FOR THIS SET UP. WE HAVE 3/4, 1", 1 3/8" AND SOME 1 5/8" FITTINGS LISTED. WE WILL NOT PROCESS THE TRANSATION UNTIL WE HAVE CONTACTED YOU WITH THE ADJUSTED SHIPPING COST TO YOUR ZIP. CHARGE SHIPPING TO YOUR ZIP. IF YOU HAVE ANY QUESTIONS ABOUT SHIPPING PLEASE FEEL FREE TO CONTACT US. 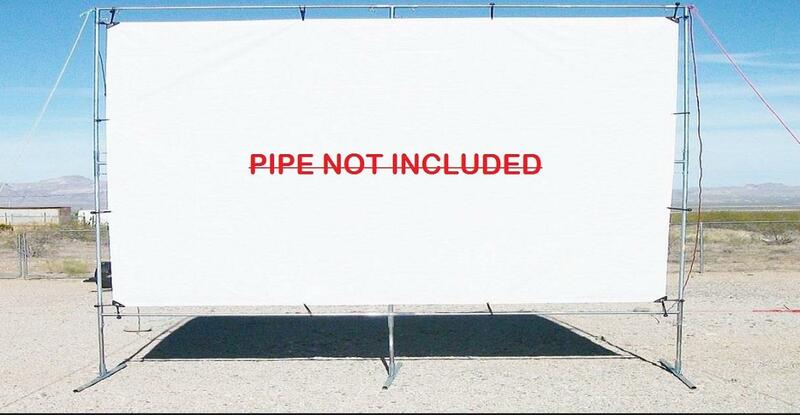 3/4" Use w/ 3/4" emt pipe 1" 15/16 "
1" Use w/ 1" emt pipe 1 1/4" 1 3/16"
1 3/8" Use w/ chain link 1 3/8" 1 5/16"
Hung up the tarps last week--Tan Mesh Sun Shades-- I bought 3-- just want you to know I LOVE them! They exceeded my expectations. I can't BELIEVE how COOL it is in under my porte-cochère (carport) now-- I actually find little excuses to go out there & putter-around, watering my plants, little odd jobs-- because it's so noticeably COOLER in that area now. I had no idea! Please let everyone know how well the tarps work-- PLUS they allow air flow, too. Amazing. Just thought you'd want to know how happy I am, not just w/tarps but your GREAT customer service too! BALL BUNGEES w/ FREE SHIPPING HEAVY DUTY BALL BUNGEES TO ATTACH YOUR TARP TO YOUR FRAME. THIS WILL PUT THE STRESS OF THE ELEMENTS ON YOUR BUNGEES AND HELP YOUR TARP LAST LONGER. WE HAVE ECONOMY AND HEAVY DUTY PREMIUM BALL BUNGEES. SIZES 6", 9" 11" & 13". 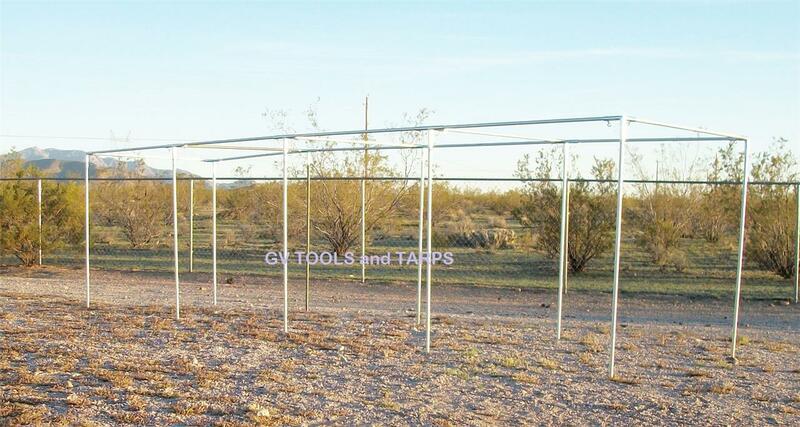 CLEAR HEAVY DUTY POLY TARPS - FREE SHIPPING CLEAR HEAVY DUTY POLY TARPS ARE PERFECT FOR GREEN HOUSES, NURSERIES, AND GARDEN AREAS. THEY ALLOW THE LIGHT TO FILTER THROUGH BUT PROTECT FROM THE ELEMENTS AND ALLOW YOUR PLANTS TO NOURISH. . .
WHITE MESH SCREEN SHADE TARPS THIS IS THE NEWEST COLOR IN MESH SCREEN SHADE TARPS. 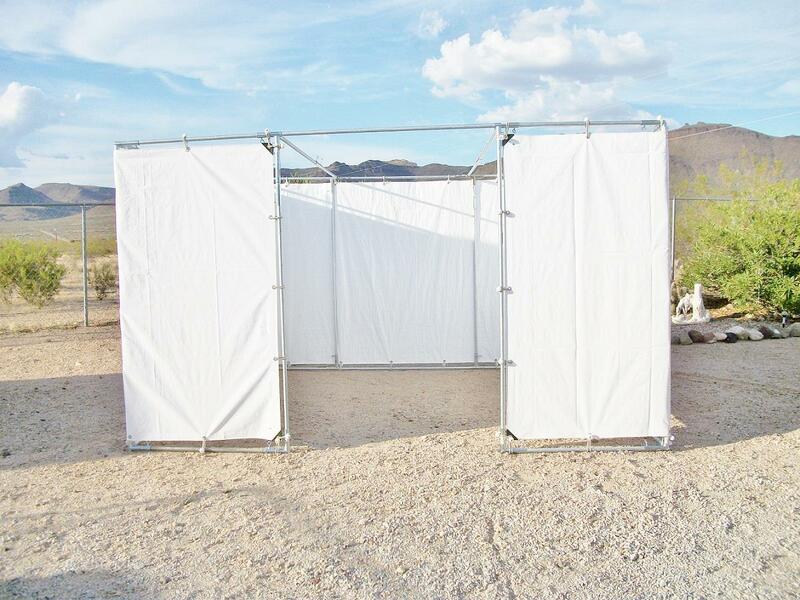 PROTECTS FROM THE WIND AND THE HOT SUN BUT STILL ALLOWS AIR TO FLOW THROUGH . .
DESERT TAN MESH SCREEN SHADE TARPS - FREE SHIPPING DESSERT TAN MESH SHADE SCREEN TARPS ARE VERY COMPLIMENTARY TO MOST HOMES TODAY. BLACK MESH SCREEN SHADE TARPS - FREE SHIPPING BLACK MESH TARPS ARE VERY POPULAR FOR CREATING A SHADED AREA FOR WORKING UNDER,CARPORTS & GARDENS. BLUE MESH SCREEN SHADE TARPS - FREE SHIPPING BLUE MESH TARPS ARE VERY COMPLIMENTARY AROUND YOUR POOL AND SPA AREA. BROWN MESH SCREEN SHADE TARPS - FREE SHIPPING BROWN MESH SCREEN SHADE TARPS PROVIDE THE SHADE NEEDED FOR WORK AREAS, PATIO, PET PEN OR PLAY YARDS YET ALLOWS THE BREEZE TO FLOW THROUGH. GREEN MESH SCREEN SHADE TARPS - FREE SHIPPING GREEN MESH SCREEN SHADE TARPS ARE PERFECT FOR GARDEN AREAS. GIVE YOUR PLANTS FILTERED SUNLIGHT THEY NEED TO FLOURISH.. HEAVY DUTY POLY TARPS HEAVY DUTY POLY WATERPROOF TARPS 12 ml w/ Grommets approx. every 18". FIRE RETARDANT TARPS FIRE RETARDANT TARPS Our tarps have a sewn on label with the following information printed on them: NFPA 701, CPAI-84 & CALIF. TITLE 19 CERTIFIED. GREEN PEMIUM 8ml CAMOUFLAGE / CAMO POLY TARPS - FREE SHIPPING LIGHT WEIGHT TARPS WILL FIT IN WITH YOUR CAMPING GEAR. DIGITAL DESERT 8ml CAMO POLY TARPS / FREE SHIPPING LIGHT WEIGHT SO THEY WILL FIT IN WITH YOUR CAMPING GEAR.